No matter how small a house, fire is a terrible experience. At Paul Davis in St Paul, MN, fire damage is among our specializations. For over 40 years, Paul Davis has restored thousands and thousands of houses marred by fire. 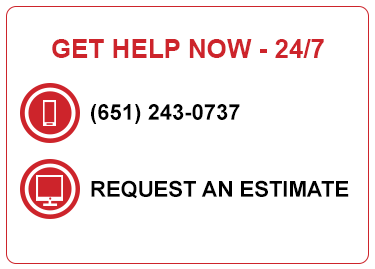 If you need prompt service, please call us or click the “24-hour Emergency Services” button above. At Paul Davis, we understand that you’ll need help right away. For this reason we’ll respond within 30 minutes and be at the site within 4 hours. Flames aren’t the only destructive agent during a fire and restoring and repairing wide-spread damage is a complex operation. Smoke has the capacity to delve deep into every part of your house including air ducts, wall cavities, and more. Following a fire, soot coats almost every surface. Selecting a firm without legitimate certification to complete full fire restoration can be a costly mistake. Your efficient, qualified repair and fire restoration experts from Paul Davis in St Paul, MN have the know-how and experience to repair any problem due to a fire. Health is priority #1. Make sure you and your family are free of harm. We have more advice here. Experience is vital. That’s why thousands of people across America trust Paul Davis for restoration services. Paul Davis in St Paul, MN is prepared to complete any fire restoration job. We guarantee you won’t regret choosing experience.